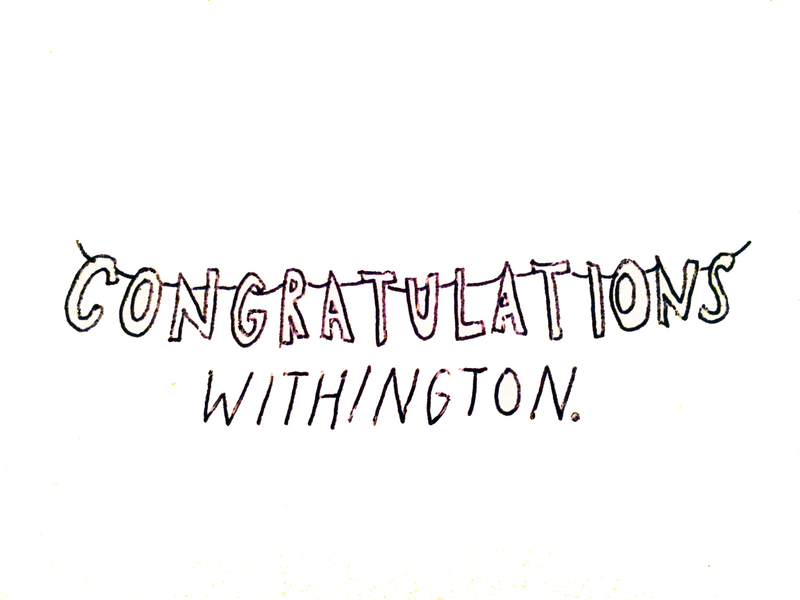 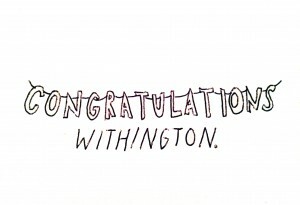 Congratulations Withington, was a series of interventions in Withington that celebrated quite ordinary events in the area. 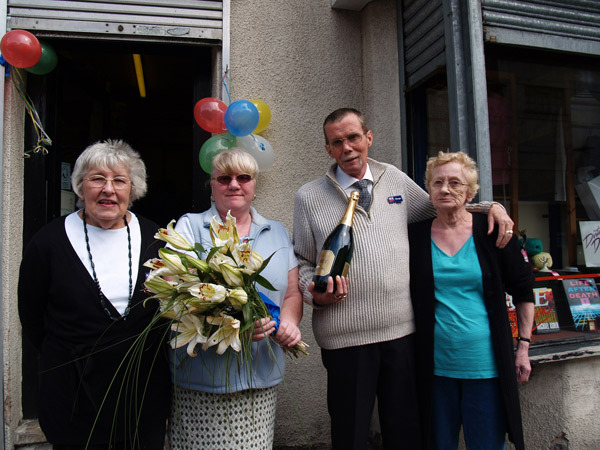 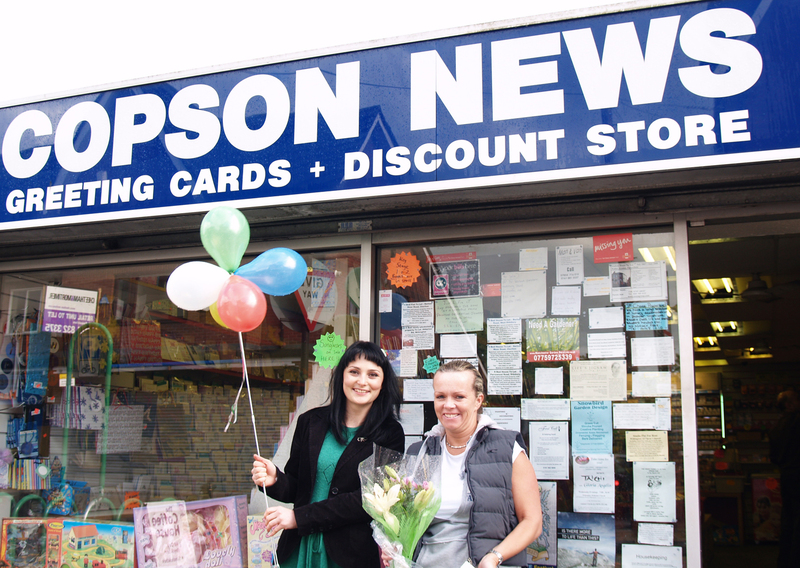 This included celebrations of newsagents, lollipop ladies and shoppers. 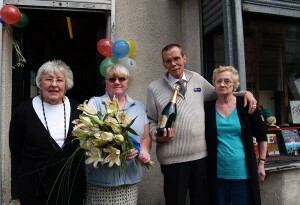 Here is a woman who was the twelfth customer in Help the Aged that morning.